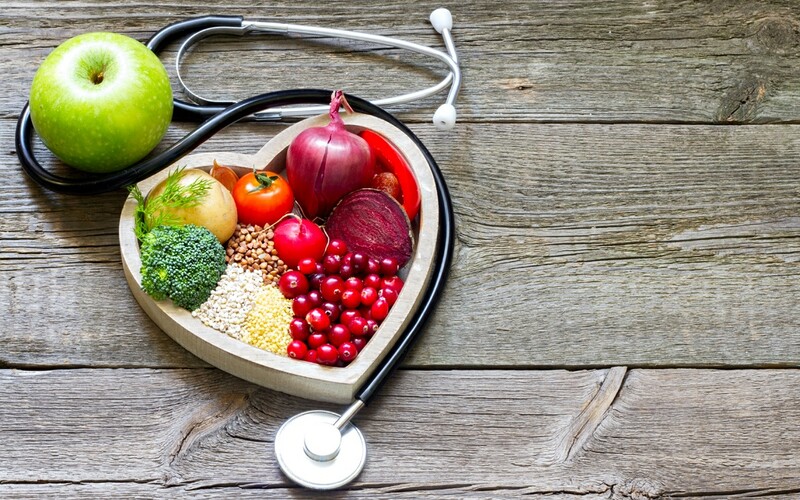 Is Healthy Food the New Medicine? The United States has seen the rise of chronic diseases and certain cancers, but it may soon see the rise of healthier diets. Started in 2012, the program couldn’t have come at a more crucial time. In 2010, chronic disease accounted for 86 percent of all healthcare spending; four years later, the cost of treating heart disease alone totaled $315.4 billion, including medication and hospital care. Although people have used food as medicine for centuries, the educational programming for it has not been around as long. In the US, The Goldring Center’s culinary curriculum is the first of its kind. Students complete eight classes that are three hours each, earning a total of twenty-four hours of in-class culinary practice. Fourth-year students can choose from seminars that focus on different clinical interests, including celiac disease, inflammatory bowel disease, food allergies, diabetes, pregnancy, and neurocognition. Students also teach free cooking classes to the public. Because medical students are being trained to prescribe healthy eating to their patients, Sarris says, the community classes are essential to their learning. Medical students volunteer and teach participants cooking techniques for healthier eating. Serving around 600 community members a year, the weekly classes fill up fast; the waiting list hovers around 300. They range from beginner to advanced, and each series is organized into eight to twelve classes over two to three months. “The hands-on component gets people to talk about food instead of nutrients. Food is something that unites us and we can all understand,” Sarris says. She felt especially motivated after learning how to chop an onion, grate ginger, and sauté fish. “When you prepare your own food, you’re in control of your salt and sugar intake. Processed food is loaded with that stuff,” Neupert observes. The community classes also provide a space for low-income people to learn how to cook, budget their money, manage their time, and enjoy healthy meals. “Our goal is that our recipes are all under $2.50 a portion. We are able to keep a low budget by [using] less meat and processed foods, more legumes, grains, and seasonal fruits and vegetables,” says Sarris. More and more, diet is becoming a mode of preventative care. She and the medical students educate about “foods that hold well,” like onions, sweet potatoes, and frozen fruits and veggies. These are foods that people can use in a variety of ways and over a long period of time, saving money and trips to the supermarket. Ren feels confident about using practical advice to develop a course of care for his patients. “If I had a patient with congestive heart failure, I would prescribe them the medication they need. I would also try to lessen their salt intake. But I understand that salt tastes really good. I would keep the savory flavor by encouraging them to use lemon instead,” he says. This integrative understanding of healthcare may change the way it is structured. 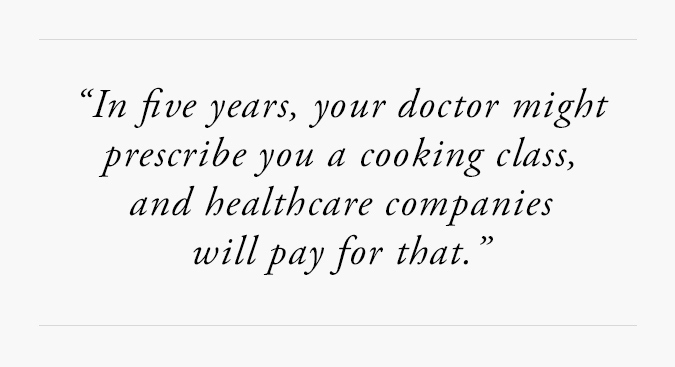 “In five years, your doctor might prescribe you a cooking class, and healthcare companies will pay for that,” says Sarris. About twenty medical schools have adopted Tulane’s program, including UCLA Clinical and Translational Science Institute, University of Illinois-Chicago, and University of Chicago’s Pritzker School of Medicine in a partnership with Kendall College School of Culinary Arts. Last year, Renee Zonka, teaching chef and former dean at Kendall, spearheaded its pilot culinary medicine program. She predicts an impact on family and culture. “[Doctors and their patients] may try something different—they may choose to eat and cook a little healthier, promoting better health for them and their families in ways that still fit with their lifestyles and cultures,” she says. More and more, diet is becoming a mode of preventative care. By cooking healthy meals, patients are better able to fight disease—while enjoying themselves in the kitchen.